The concept of Indigo children was first brought into mainstream awareness in the 1970's by Nancy Ann Tappe. Further research into the indigo phenomenon was later developed by Jan Tober and Lee Carroll. 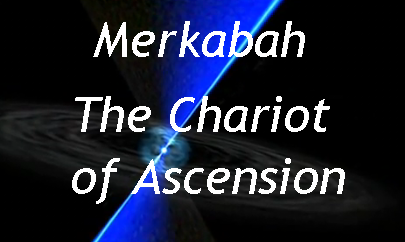 The Indigo's are suols who have chosen to incarnate on the planet with a specific purpose and mission. Indigos often sound very wise for their age. Their non conformance to authority and the social conditioning sometimes earns them the label of being problem children. Descriptions and characteristic traits of indigo children vary and they are often mistakingly diagnosed as having autism or ADD (attention deficit disorder). These children are highly sensitive physically, emotionally and spiritually, and not always comfortable in their own bodies. They easily experience sensory overload to lights, smells, sounds, touching and toxins, and need help in becoming grounded. They might have unsusual personality quirks that are often perceived by family and friends as being strange or odd. Indigo's posess a clear sense of self-definition and purpose from an early age, although many are not able to express this in a way that parents or adults understand. They may have attention and social problems in school and may frequently correct the teachers. 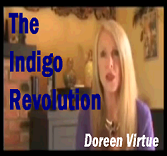 Indigo's are usually very strong-willed, independent, curious and empathic. They have a high level of social consciousness and desire to make the world a better place. They are here to bring the Dawn of the Golden Age. They have a strong feeling of entitlement and will. They seem to have a resistance to rigid, control-based paradigms of authority and this can result in power-struggles with parental figure and other adults. This will often lead to the child being diagnosed with a behavioral problem or labeled with a deficit such as ADD, ADHD, Dyslexia, etc,. Many indigo children are put on medication as a result but this can do more damage than good for the indigo. Harmfull madicatitions can inibit the indigo child from fully expressing their positive traits and unique gifts. Indigo children are often highly intelligent, creative and can have amazing intuitive or other psychic ability. Many of these children have talents and skills that are extremely advanced for their age. They also show a strong interest or connection to spirituality from an early age, even if they are not raised in a religious setting. The Indigo children are named as such because of the indigo-colored energy field--or aura--that is said to appear around them, seen often by those with highly developed psychic or intuitive ability. These gifted souls began incarnating on the planet in increasing numbers after World War II, in preparation for the global shift that we are currently experiencing on the planet. They incarnated among the "baby boom" generation of the fifties and were born to the "flower children" of the sixties. Between the 1970's - 1990's saw another large influx of indigo energy as more children with these special gifts began incarating in wave. These children are now the Indigo adults and are considered the 'warrior' generation because they have begun the process of challenging and shifting old systems and paradigms that are no longer working in society. The indigos that began incarnating after in the 1980's and 1990's came in with increasing sensitivity and refinement. The children born after the late 1990's and early 2000's are usually referred to as the Crystal or Rainbow children. Most indigos will eventually fullfil their mission on the planet through some creative medium involving their unique and extraordinary talents, or through some form of teaching or healing in some way. On a global scale the Indigo mission in general is to teach and heal and to help shift the consciousness of humanity into the new paradigm.